#PresidentObama and the #EPA have announced carbon pollution standards for all existing power plants in America. Will you join others around the country in saying you believe we must protect our children and future generations from climate change? produce this research report as a publicly-available resource for all interested stakeholders. efficiency upgrades and retrofits in buildings. Buildings consume approximately 40% of the world’s primary energy and are responsible for 40% of global carbon emissions. Mature and proven technologies, designed and manufactured by established multi-national firms, can save energy and yield significant returns when replacing older, less efficient systems. understanding of this opportunity, we use this paper to establish the potential size of the retrofit market in the United States. unlocking the true potential of this market. early traction utilizing this structure. measures such as building data disclosure requirements. 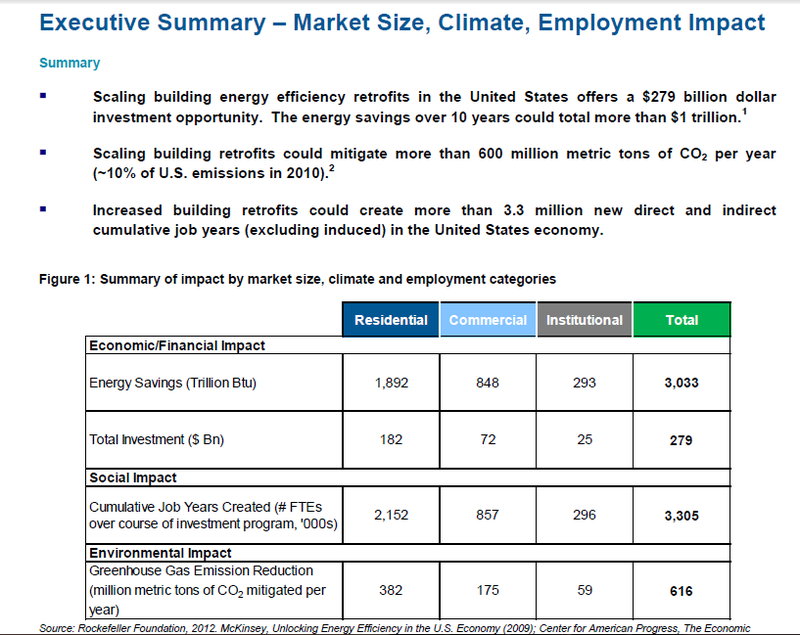 1 This economic impact is a directional estimate, which converts the volumetric energy savings to dollar savings using sector specific energy prices from the U.S. EIA, as well as EIA estimates for sector specific electricity price escalation. It does not incorporate the feedback loop of reduced demand via energy savings affecting prices. 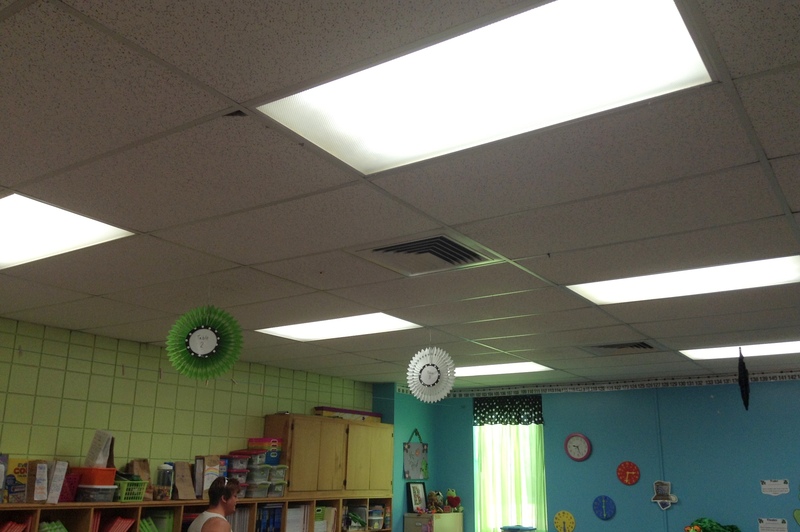 M-Lite Solution manufactures high end #LEDLighting products that are the most cost effective LED lighting technology in the marketplace for schools, nursing homes, government buildings, and other commercial properties. We specialize in LED Retrofit kits that will significantly lower your energy consumption, provide years of maintenance free lighting , are UL approved, and easy to install. This entry was posted in Act on Climate, Efficient Lighting, Energy Savings, Green Energy, Green Lighting, LED Lighting, LED News, LED Retrofit Kit, LED Retrofit Kits, Sustainable Lighting and tagged #actonclimate, Building Energy Retrofits, Converting to LED Lighting, Deutsche Bank Climate Change Advisors, ESCO, Go Green, GREEN BUILDINGS, M-Lite, M-Lites.com, Rockefeller Foundation, UL approved. With its higher performance and lower power consumption LED lighting provides an ideal solution for any CCTV application. Leds are unquestionably the most energy-efficient choice for lighting and by converting to LED lights, users can make significant savings on energy bills. It’s estimated by the Carbon Trust that 40% of energy used by organisations goes on lighting, so the potential to reduce bills is substantial. 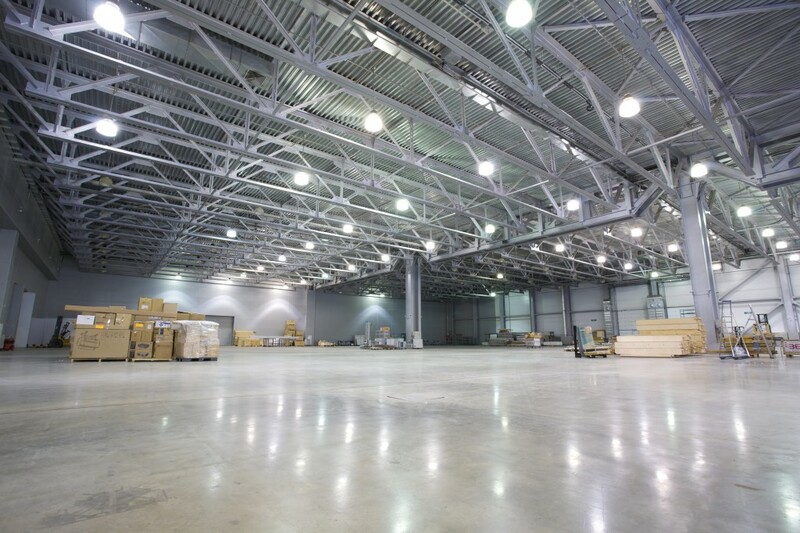 Not only to leds save energy and have lower running costs, because they are not prone to bulb failure they do not carry the ‘hidden’ energy costs associated with time consuming maintenance work. When you take into account higher running costs and money spent on replacing bulbs that don’t last very long an organisation using 100 CCTV or security lights could be wasting £45,000 per year. This is based upon 4,400 hours usage per year at 10p kw/hr; with labour costs conservatively calculated at £40 per bulb change; it’ll be much higher if a cherry-picker is needed. (NB. If you want to get an accurate figure for a particular site, in fact it’s very easy to work out exactly how much can be saved by using the energy saving calculator which Raytec provides online). With ongoing product development and improvements based on frequent night-test sessions, LED illuminators have been refined to provide the even quality illumination that is exactly what CCTV cameras need. With the right products the light can be easily targeted and adjusted to give both the correct range (typically up to 370m+) and angle of coverage (typically anything from 10-180°) for each application. LED lights are also highly flexible in use, they start up immediately (with no warm up period) and so can be used for active warning systems, and for intelligent detector-driven CCTV applications. Designed for use with both black & white and day/night cameras, infra-red illuminators provide IR light which is invisible to the human eye but visible to the CCTV camera. Because IR is invisible to the human eye it is ideal for covert surveillance; the camera can see, but the intruder cannot. Further, as their light cannot be seen, IR illuminators are the perfect solution in sensitive areas where light pollution needs to be avoided; areas such as residential neighbourhoods and parks. IR illumination also works well over long distances, with illumination at ranges up to 370m. Therefore in many applications IR illumination is the perfect lighting tool for CCTV, allowing cameras to capture crisp, clear images in black & white, and optimising camera performance. Where accurate colour images are required, white-light illuminators are the ideal solution, providing high quality visible crystal clear illumination to optimise colour camera performance. White Light LED technology allows accurate colour image capture at night and ensures that the CCTV system works at its best 24/7. White Light LED products can be used as a powerful deterrent. For example, with its quick start characteristic this technology can be used as part of an intelligent, detector-driven security system. Purpose-designed for CCTV, the technology’s even illumination allows the best colour image capture, without the bright or dark spots which can be a problem with other types of lighting. This is also a multi-purpose lighting solution that can be used for non security applications, such as commercial and general lighting. Following is a summary of different types of lighting technology that has been commonly used. For CCTV purposes, bulb life is limited and they are very inefficient. They are generally expensive to run (typically500 watts) and expensive to maintain (up to 3 bulb changes per year). End users are increasingly moving away from using halogen based lighting products in favour of longer life leds. Incandescent bulbs were the first bulbs developed and are highly inefficient, wasting 90% of input energy as heat. 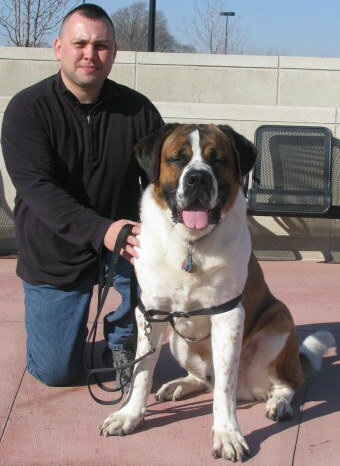 Their heat output is such that they are extremely hot to touch and can heat surrounding objects in close proximity. Halogen bulbs provide a minimal increase in efficiency and still waste as much as 85% of input energy as heat. Halogen bulbs are smaller and higher pressure than incandescent bulbs causing halogen bulbs to have an extremely hot surface hazardous to the touch. Bringing the bulb into contact with cold surfaces such as residue from fingerprints, particularly sodium, may cause bulb failure. Their effectiveness for CCTV purposes is limited due to the perceived “beating” effect when used with a CCTV camera. They are generally low power and designed mainly for internal fittings. As they have a large diffused source the light output is difficult to focus and control. Fluorescent bulbs are much more efficient than incandescent bulbs, operating at approximately 40% efficiency. Only 60% of the input energy is wasted as heat so fluorescent lamps run much cooler than incandescent lamps and can provide equivalent power from much lower electrical input. For this reason, and the fact that fluorescent lamps tend to last 10 – 20 times as long as an incandescent bulb, they are commonly used in domestic homes as long life bulbs. However, fluorescent lamps produce a flicker imperceptible to the human eye but visible to cameras as a “beat” effect making fluorescent illumination unsuitable for video surveillance. Fluorescent lamps also contain the hazardous material mercury. HID lamps could be used in CCTV. They are efficient, provide good colour rendition and they provide a relatively long life – up to 12,000 hours. However, they suffer from a slow start (2-3mins) and cannot be turned on immediately after being turned off. High intensity discharge lamps are 60-80% efficient and compared to incandescent and fluorescent lamps provide much more light from a smaller package. HID forms include low pressure sodium (unsuitable for CCTV due to its yellow tinge), high pressure sodium (which is more acceptable but produces worse colour rendition than Metal Halide) and Metal Halide. Metal Halide HID bulbs provide a very natural, cool clear White-Light with excellent colour rendition. HID lamps are commonly used for street lighting and in car headlights. Light Emitting Diodes (LED’s) are semiconductors that naturally emit a narrow band of light. They are a relatively new development in lighting but their usage is expanding rapidly on the back of clear technical advantages. LED’s are comparatively expensive to purchase but provide extremely long life up to 100,000 hours. 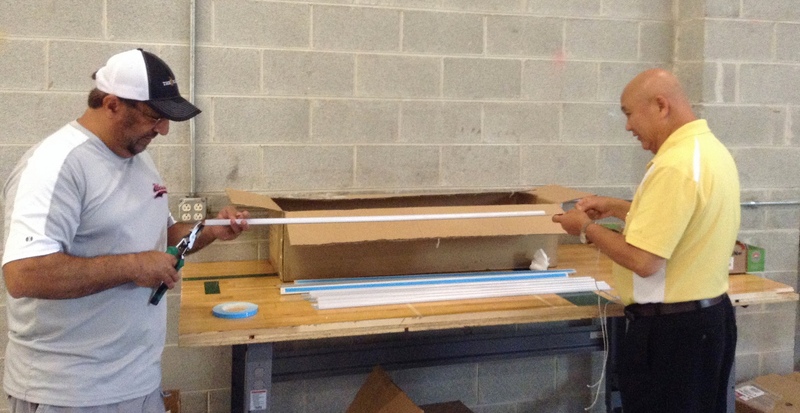 In comparison fluorescent bulbs typically last 10,000 hours and incandescent bulbs 1,000. LED efficiency is typically 80-90% with the greatest efficiency coming from LED’s producing red light. Advantages of LED’s include extremely low electrical consumption, low operating temperatures and continuity of colour through the operating life of the LED. Unlike traditional bulbs LED’s are also highly durable, insensitive to vibration and they are more robust and difficult to break. They are also capable of emitting light at a given wavelength without the need for a filter and are quick start devices. Power management and thermal management are important to ensure LED’s deliver expected performance. Through-hole leds are expensive to mount to pcbs and generally are not as robust as Surface Mount Technology (SMT). SMT LED’s offer better thermal management and allow the LED’s to be driven harder without compromising performance. CCTV lighting – which wavelength? 715-730nm – overt IR, produces a red glow like a red traffic light. 815-850nm – semi-covert IR with a faintly red glow only just visible. 940-950nm – covert IR invisible to the human eye. Infra-Red light can be used to provide discrete or covert illumination for CCTV; to minimise light pollution; or to provide very long distance illumination. IR can be used with monochrome and day/night cameras. NB. As IR becomes more covert it becomes more difficult for the camera to see and consequently distances are reduced. 940-950nm IR should only be used with highly sensitive cameras fitted with high performance lenses. Focussing is also more difficult at those wavelengths as lenses start to operate more inefficiently with 940-950nm. A mixture of light from 400-700nm provides true White-Light. When providing CCTV illumination the beam angle should always cover the full field of view. The correct angle of illumination must be used to light the full scene. Modern units allow the angle of illumination to be adjusted on site to suit the specific scene requirements. Traditional Beam Patterns: as standard, beam patterns from an illuminator are provided at a fixed angle, either narrow or wide. Historically, spot and flood lenses have dominated but more recently these have been rejected in favour of more precise angles such as 10, 30 or 60 degrees. However, these are still fixed angle output, meaning they are inflexible on site. If the lighting requirements change or if the cameras field of view is changed the lighting may be unacceptable. 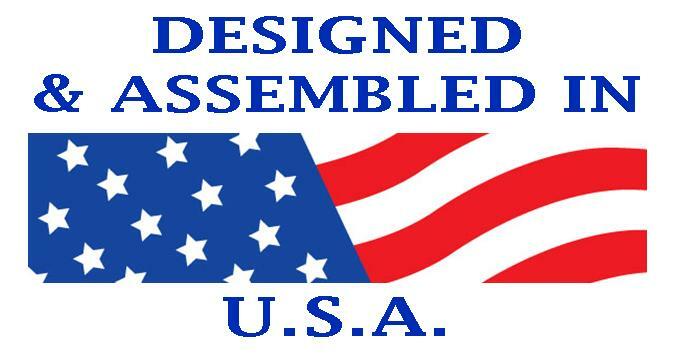 Also, it means that all lighting decisions must be made prior to installation which is often difficult. Often final lens decisions and viewing areas are made during the installation process. Typical Beam Patterns: Spot; 10°; 20°; 30°; 60°; flood. The inverse square law describes how the intensity of a light is inversely proportional to the square of the distance from the light source(the illuminator). Light obeys the inverse square law so to fully understand the way that light travels, and the resultant impact on CCTV systems, some understanding of the inverse square law is required. As light travels away from the point source it spreads both horizontally and vertically and therefore intensity decreases. In practise this means that if an object is moved from a given point, to a point double the distance from the light source it will receive only a ¼ of the light (2 times the distance squared = 4). Taking this theory further, if an object at 10m from a light source receives 100 LUX, moving the object to 40m, it will receive only 1/16th of the light (4 times the distance, squared = 16) resulting in the object receiving only 6.25 LUX. The inverse-square law applies to both White-Light and Infra-Red light in the same way. The effects of the inverse-square law make clear how a CCTV camera has to handle a wide range of light levels within a given field of view and shows the importance of even illumination. The inverse-square law explains how light intensity reduces over distance but can also be used to calculate how many additional illuminators are needed to achieve specific increases in distance. If the distance from a single illuminator is doubled then the intensity of the light is quartered. Therefore to achieve double the distance of one illuminator, achieving the same power on scene, 4 illuminators are required (2 squared = 4). Similarly to achieve 3 times the distance of one illuminator, 9 illuminators are required (3 squared =9). Calculating the impact of multiple illuminators on distance: the inverse square law can also be used to calculate the effect of using multiple illuminators by taking the square root of the change in illumination intensity at source. For example, using 4 illuminators will produce a 2 fold increase in distance (the square root of 4 is 2), and using 25 illuminators will result in a 5 fold increase in distance (the square root of 25 is 5). NB. There is no need to use multiple illuminators to achieve increases in distance. Tighter angle devices, or more powerful illuminators can provide the required additional power output. Identifying the purpose of the system will point to the type of light to use. Infra-Red light provides greater distance, a varying degree of invisibility (depending on the exact wavelength) and no light pollution. Infra-Red is light designed only to be used by CCTV cameras. White-Light provides the opportunity to illuminate an area for pedestrians, staff or vehicles in addition to the CCTV system. It can also be used as a visual deterrent when turned on if an intruder is detected by a PIR. The illumination should ideally match the angle the camera / lens is set-to in order to provide best performance. If not, and too narrow an illumination angle is chosen, the camera will simply see a bright spot in the middle of the scene and the contrast between light and dark areas on scene will be too great to provide high quality images. Illumination which is too wide wastes energy and reduces achievable distance. Note: The adoption of vari-focal lenses has caused difficulty in specifying lighting. With vari-focal lenses the exact FOV is often only established on site through trial and error making exact matching to fixed angle lighting impossible in advance. The latest vari-focal lighting allows the output angle of an illuminator to be adjusted on-site to match the set-up of a vari-focal lens. After selecting the angle, the next consideration is distance. How far should the lighting illuminate? Installers and specifiers should be aware that as angle increases, distance decreases. The exact performance of any illuminator in a CCTV system is dependant upon the camera and lens combination used. For best results a high sensitivity camera (for IR projects an IR sensitive camera) should be used with a high transmission lens. Generally a CCTV imaging system (camera, lens, illumination) is only as good as its weakest link. Wide angle illumination: New wide angle illuminators covering 120-180° allow the full 360° angle of a dome to be covered with only 2 illuminators. Target Area Illumination: Illuminators can be used to target specific points of interest including gates and entry points on pre-set positions. Local Area Illumination: Illumination can be fitted away from the camera to flood the scene. When the camera zooms in the whole area will be lit. Typically PTZ systems are used in applications where a single camera is designated to secure a large area. At long distances the camera lens is often zoomed in giving a narrow field of view and at short distances the camera lens pans to a wide angle. The flexibility of such a system requires the lighting to cover long distances and narrow and wide angles. The solution is to use a twin lighting system. The old fashioned method was to use 1 narrow and 1 wide angle illuminator. The better solution is to provide even illumination. Both illuminators should be attached to the PT motor by a bracket. A second solution for shorter range PTZ units is to use a single wider angle illuminator such as a 30° – 60° model. If the required distance is not too great a wide angle illuminator may be able to cover the maximum distance as well as the wide angle. Wavelength of the IR. (Longer wavelengths such as 950nm will provide a more exaggerated focus shift). Focusing the camera correctly for low light performance means the camera will be focussed for IR with the aperture fully open. During daytime operation the increased depth of field created by a closing aperture will counter the effects of focus shift. The best solution is to focus the camera using only Infra-Red. This can be achieved by: setting up the camera at night using Infra-Red lighting; using an IR pass filter over the camera lens to simulate. Back Focus describes the relationship between the distance of the lens to the camera chip. This distance is critical to maintaining the proper depth of field through changing focal lengths and varying light conditions and setting it correctly can ensure the image stays in focus 24 hours a day. Correct back focus of the camera can be used to overcome the typical issue of a sharp daytime image followed by a blurred image at night. This situation is caused when, during bright sunlight, the lens is closed and the depth of field is very wide, whereas when the light level drops the iris opens and the depth of field decreases causing a lack of focus. For correct 24-hour focusing a camera should be back focused with the lens iris fully opened to simulate the worst possible depth of field. Neutral Density filters can be used to cover the lens during back focusing to simulate lower light intensity on scene. This is an effective solution for colour cameras or cameras using White-Light CCTV illumination. However, for mono cameras, or day-night cameras using Infra-Red lighting, the best solution is to place an Infra-Red Pass filter over the lens. All cameras require light, sensitivity is simply a measure of how much light they need. High sensitivity cameras require less lighting to produce high quality CCTV images. However, even high sensitivity cameras should be fitted with professional CCTV lighting to provide even illumination. This allows the camera to provide sharp, clear images. Digital cameras record brightness on a per-pixel basis so the greater the amount of pixels the smaller surface area each pixel has available to capture light. The end result is that the greater the resolution the less sensitive the camera. A megapixel constitutes 1,000,000 individual pixels and Megapixel cameras offer a number of advantages to installers including higher resolution, wider angle images, and the ability to digitally zoom images. However, they are by nature less sensitive than standard CCD cameras meaning they require additional lighting to achieve high quality images at night. With Megapixel cameras ALWAYS use additional CCTV lighting to achieve high quality night-time images. Megapixel cameras only deliver their advantages when viewing a correctly illuminated scene. 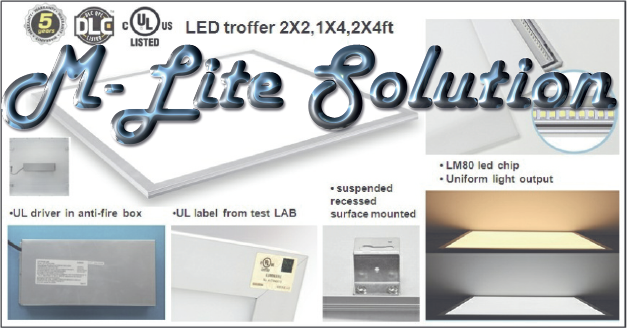 Click here to contact M-Lites.com for the Best LED Lighting Solutions in the USA. This entry was posted in Energy Savings, LED Lighting, LED Lighting Terminology, LED Retrofit Kit, Security Lighting, Sustainable Lighting, The Earth is green and tagged Commercial LED Lighting, Converting to LED Lighting, Green Products, LED Light Bars, LED Lighting Chicago, LED Lighting Manufacturer, LED Security Lighting, M-Lite Solution, M-Lites.com, UL approved. One of the most rewarding things one can do is to bring a smile to a classroom of elementary students faces. We did just that in the Mississippi school system last fall, and we look forward to repeating that process of making children smile in a few thousand more classrooms this year in 2014. To justify our school projects investment, we measure the return, and provided them with peace of mind by doing a comprehensive Client Impact Analysis that measures and quantifies the end results of our Energy Efficient LED Lighting upgrade based upon pre-process measurements and information provided by the school. 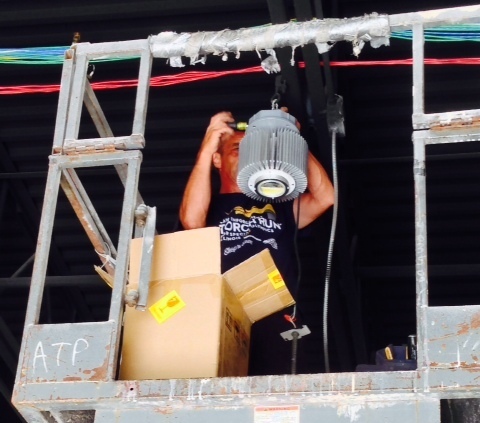 Our overall goal is the complete success of every LED Lighting upgrade for our projects, and their decision makers. 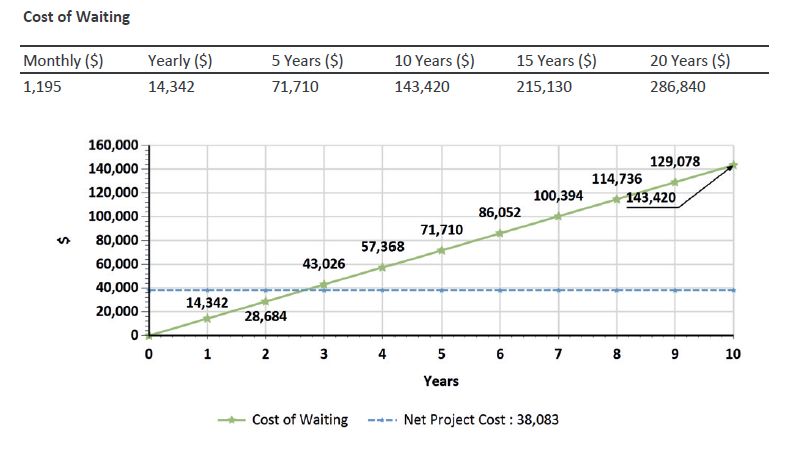 To that end, we have outlined an anticipated ROI (Return on Investment) on our chart above, and below. This chart above provides a baseline for our expectations and framework for this projects. Not only do we get smiles, and provide our clients with a positive return on investment, but we also get to reduce our planets greenhouse gases by lowering energy consumption with our Led products. It’s a Win-Win for all. This entry was posted in Commercial LED Leasing Program, Energy Savings, Green Lighting, LED Light Bars, LED Lighting, LED Retrofit Kit, LED Retrofit Kits, LED Strip Kits, LED Troffers, LED Troffers by M-Lite Solution and tagged Commercial LED Lighting, Converting to LED Lighting, Dave Rozek LED Lighting Inventor, David Rozek, Go Green, Green Products, LED Light Bars, LED Lighting project in MIssissippi, LED upgrades for Schools, M-Lite LED Solutions, M-Lite Solution, M-Lites.com, Manny Lin, Manny Lin from M-Lite Solution, NEW LED Troffers.